Log in to your Online Giving donor account. Click on "My Online Giving History". 3. On the right side, click the "Print" button. 4. Set your date range from 1/1/2014 to 12/31/2014. 5. 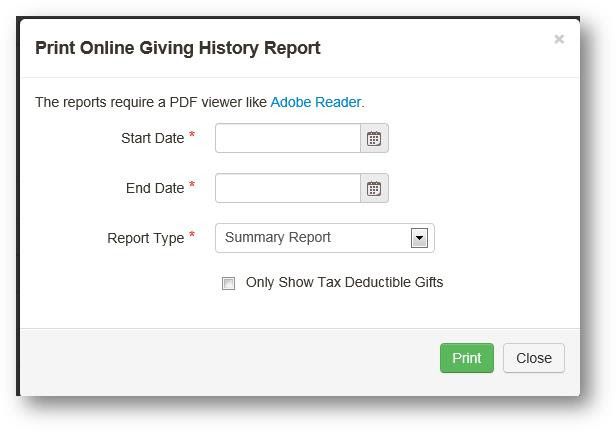 Change the report type to "Full Detail Report (Tax Purposes)." 6. Leave the tax filter option checked. 8. Your report will open in a new window.